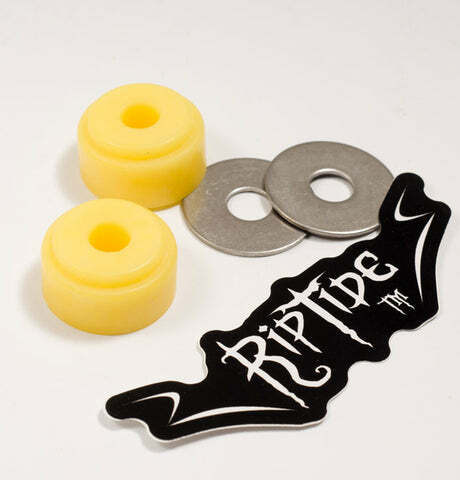 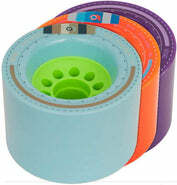 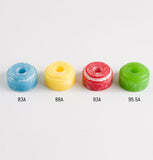 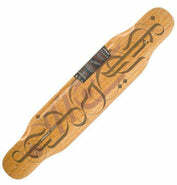 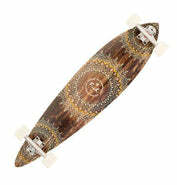 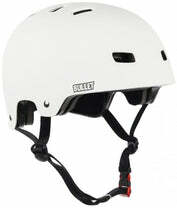 Click here to be notified by email when RipTide WFB Longboard Bushings (Chubby) becomes available. 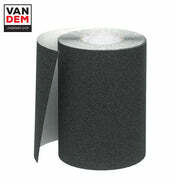 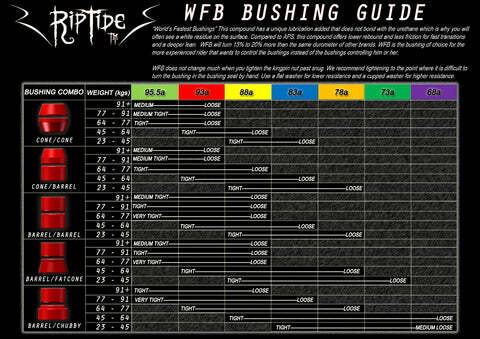 The Riptide WFB ("World's Fastest Bushings") formula is the lowest rebound bushing formula we have in stock. 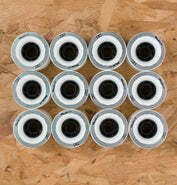 It's great for getting maximum lean out of your trucks, and generally rides a couple of durometers softer than advertised. Poured in a "Chubby" shape, the WFB formula provides a big, squidgy urethane cushion for your trucks. This is about as restrictive as WFB gets, if you put a pair of these on your board in a harder duro and use the XL Flat Washers that come with the bushings, you will really stop wheelbite and make your board a lot more stable. 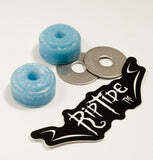 Sold as a pair, with a sticker and a pair of XL Flat Washers. 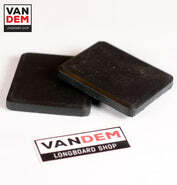 We recommend that you only run these boardside, so use them in combination with a pair of barrels for the desired effect. 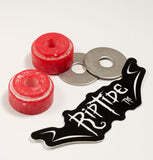 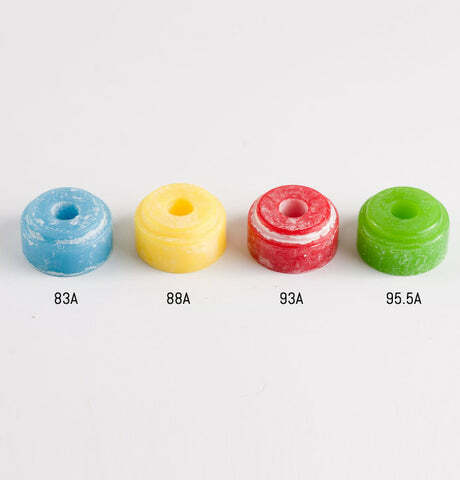 Like all Riptide bushings they will fit almost all standard longboard trucks.